This will be my sixth time teaching this YA workshop at the Djerassi Resident Artists Program, which is awesome and wonderful and pretty wild to think about. Thank you to Djerassi for letting me lead these workshops! Clearly I love teaching these, as I keep coming back, even during a very busy year. I first visited the Djerassi Resident Artists Program when I was awarded an artist residency in 2012. I spent the month-long residency writing and exploring ideas and finding inspiration, and I first came back to teach the first workshop-retreat in 2014. 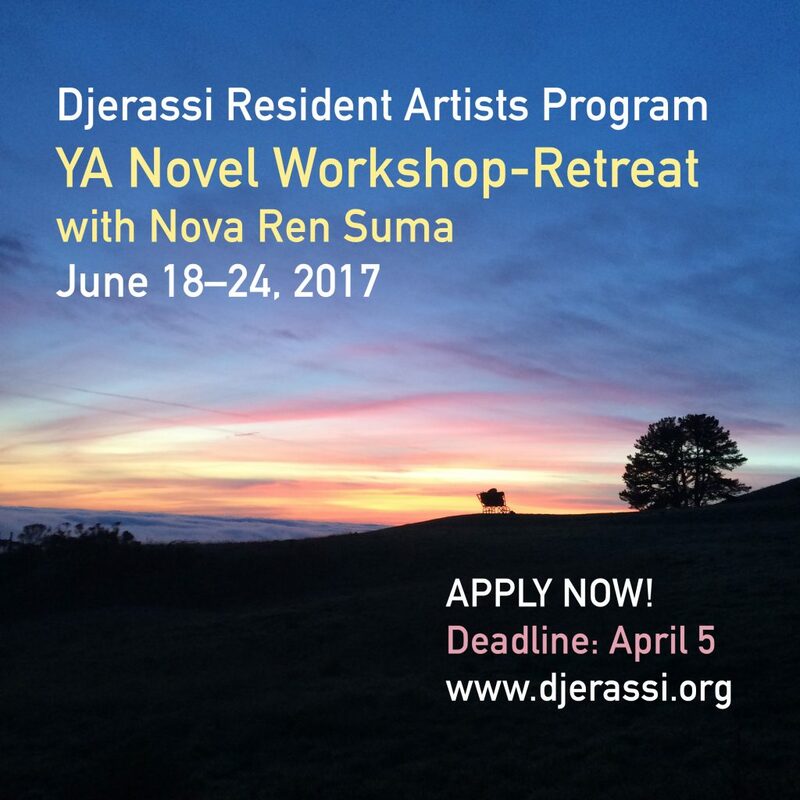 I love sharing this experience with fellow writers of YA fiction—a small week-long taste of Djerassi with constructive critiques, writing prompts, readings, an hour-long private conference with me, plus good food and good discussion and a sculpture tour and what else can I say to entice you? Basic info about the workshop can be found on the Djerassi Program website here. A direct link to the application can be found here—deadline is April 5! And for any questions you may have about applying or the workshop itself, check out this FAQ. In the FAQ I try to answer every question that has come to me about the workshop, but if you have any questions before you apply, you are welcome to email me. Just by looking at the applications that have come in so far—way too many to choose from; this will be an agonizing decision!—I can tell already that we are going to have a wonderful, passionate, talented group of 10 writers this year. I feel lucky already. Consider joining us and apply today!